This house tour is a long time coming. We've officially been in our "finished" house for one year, and we thought we'd celebrate with a big old fashioned house tour. So we're going to show you the super-clean, polished, sparkly version of The Curbly House...which looked like this exactly once, before we, you know, started living in it again! Of course, no tour would be complete without a nod to one's roots, so we're posting the 'before' photos of every room, because it's important to acknowledge the past and - in our case - never repeat it. Here we go! Before: Oh, sad, dark, dreary Edward Hopper-esque room, you were depressing and needed to lighten up a little. After: Hello, gorgeous, feather-light room! You are so lovely and inviting; our very own watercolor. 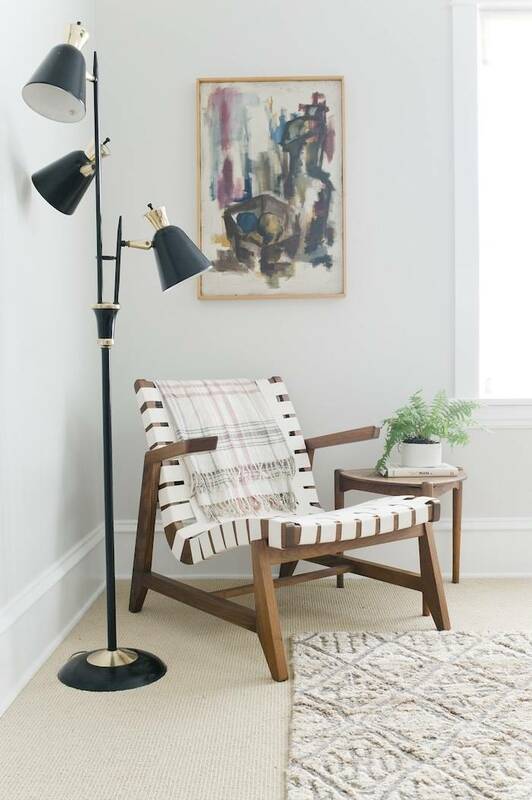 We were fortunate to work with the super-fun, super-talented, queen of design, Ms. Emily Henderson, on this room and several others (namely: the master bedroom, sunroom, and dining room). Many hugs and high-fives go out to this gorgeous gal! Before: This was the room of 99 problems; falling ceiling tiles and chewed mullion windows were among them. But, ample natural light wasn't. After: New windows, new paint, new ceiling, new walls, new bench, and a reconfigured space completely transformed this sunny nook. Before: This tiny cramped room was begging to be opened up so that it could breathe a little bit. After: We now eat dinner in this room almost every night. It's a family space. 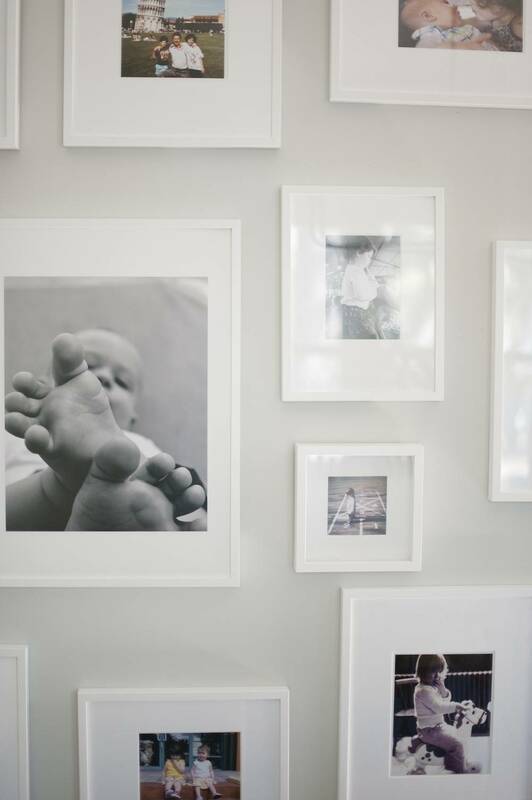 The gallery wall of family photos is the heart of the room, and the entire downstairs. Also, because we get asked about the practicality of a rug underneath a table where small children eat, the truth is: it's great! The wool is still kickin'. Before: I get a little teary thinking about this old, decrepit kitchen. And, not for sentimental reasons. I loathed this room for its lack of appliances (no oven, no stove, and one 10amp outlet that required a trip to the fuse box every time we ran the microwave). I don't miss its color and mysterious animal smells either. After: This is the room in the house that makes me pinch myself every time I walk into it. It's a kitchen, a family room, the place homework is done after school, and the place our friends congregate during dinner parties. It's the most used and most loved room in our house. 1. There is nothing overrated about a mudroom. 2. Here's a joke that's no joke: We were really urine-ing for a half-bathroom on the first floor; now that we have one we feel a great sense of relief. Technically, there's no 'Before" here because the mudroom and half-bath were born out of our addition. Apologies for the absence of 'After' photos of the half-bathroom; they are forthcoming once I decide which Rifle Paper Co. wallpaper to place on the walls. After: In my dreamiest of dreams, I never believed I would sleep in a bedroom so beautiful. And, there's a chandelier! And, you know I sing Sia's "Chandelier" every time I enter the room. Before: The day after we closed on the house two rows of acoustic ceiling tiles fell from the ceiling of this room. It was clearly begging for change. After: We wanted to design a room that captured our son's sense of adventure, while feeling grounded in classic design. Hence, the mountains with a hint of mid-century modern. Before: During our closing with the relator, the daughter of the woman who previously owned the house told us that she once sat in this room and cried because it was her birthday and none of the children she invited came to her party. She told us that, for her, the house was full of sad memories. I panicked and feared we were making a terrible mistake purchasing a house full of sorrow. I then bought sage smudge in bulk and paraded through the house like a boss. I also placed little bowls of sea salt in all the corners to absorb the sadness (this, admittedly was a little cray-cray). If you look closely, you can see one of my sadness-trapping bowls in the picture. After No. 1: This sweet, little bedroom is just like our daughter: joyful and bright. And, so far we're batting 1000 for birthday parties. Framed Je T'aime: Card from Rifle Paper Co.
After No. 2: As our girl grows, so does her style. In 2016, we gave her room a new look. Before: This former bedroom was drab, bright yellow, and filled with thousands of bobby pins. Seriously, a truckload of bobby pins. They still mysteriously come up through the floorboards. After: Our 'Bonus Room' (that acted as a catch-all reservoir for far too long), finally became our cozy family den. Trunk: Vintage find from our neighbors! Before: This bathroom was full of problems, and they were all hidden beneath the raised floor that we tripped over every single time we entered the room. After: Every single wall, floor, pipe, tile, chimney stack, etc. was removed from the old bathroom to make way for the new one! Thanks for sticking with us this far. If you have questions about products, designs, or DIYs, please let me know in the comments! For more on the process of re-doing our house, check out the entire Curbly House Section! A tremendous bouquet of thanks goes out to the wonderful, stunningly-talented photographer, Melissa Oholendt, who makes magic with her camera. Hi Amanda! Thanks for the nice comment! Our ceilings are all SW Ceiling Bright White (SW 7007). Thanks and good luck with your project! Hi Alicia - Your home redesign is stunning! I was curious to know what type of branch leaf you have in the white vase on top of your white and gold-trimmed chest in the living room. It's beautiful and I'd love to find the tree myself! Amanda, why would you feel the need to post such a snarky comment?! The remodeling that was done only added beauty to this home. Do you think Alicia and her family purchased this home for others to enjoy? No, I think Not! They purchased and breathed new life into it so THEY could enjoy it. My mother always said, "if you can't say something nice, don't say anything at all." I appreciate the fact that you took care to comment in a careful and sincere way. I realize painting the woodwork in our home was a controversial choice. But, let me assure you that we love our home, treasure its character, took great care in the decisions we made, and stand by them. Our spaces reflect the people we are and the things we love. Beauty really is in the eye of the beholder and I hope you love your home as much as we love ours. I've been thinking hard about how to say what desperately needs to be said without the appearance of "trolling" or "bullying." There is no reason your family should care that I personally would choose about 90% of the BEFORE photos over the AFTER photos. 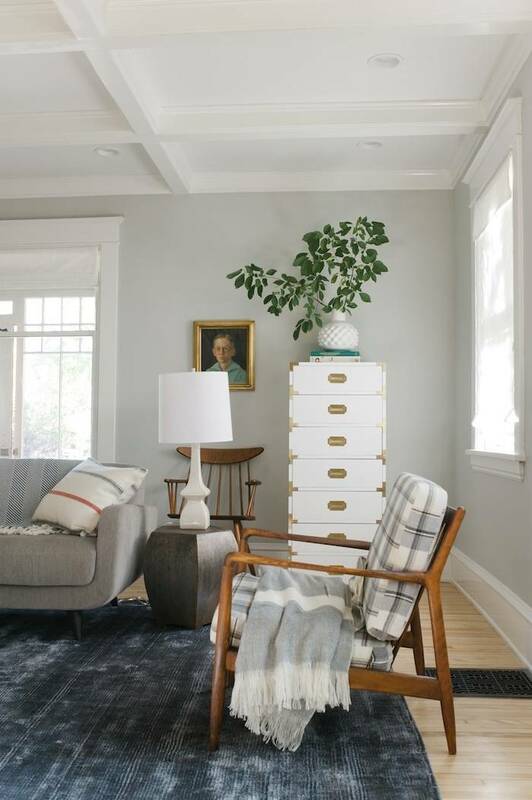 But I think a large contingent of home-lovers would agree that you should have left that particular house to someone who would have appreciated all of the awesome craftsman details and rich original solid wood. Very few things deserve praise less than painting over quality, intact vintage woodwork. I hope at the very least that you salvaged the built in china cabinet and big old farm sink. It is good that you are happy with your surroundings now -- if only you had just bought some dime-a-dozen place that was bland from the start, it wouldn't have robbed the rest of us of a piece of architectural heritage. Tami: Thank you! I'm feeling very excited about your color choices. They will look beautiful! Lin: Thank you for the kind feedback. I'm glad you're going to use some of the same paint colors in your home; I think you'll love them! 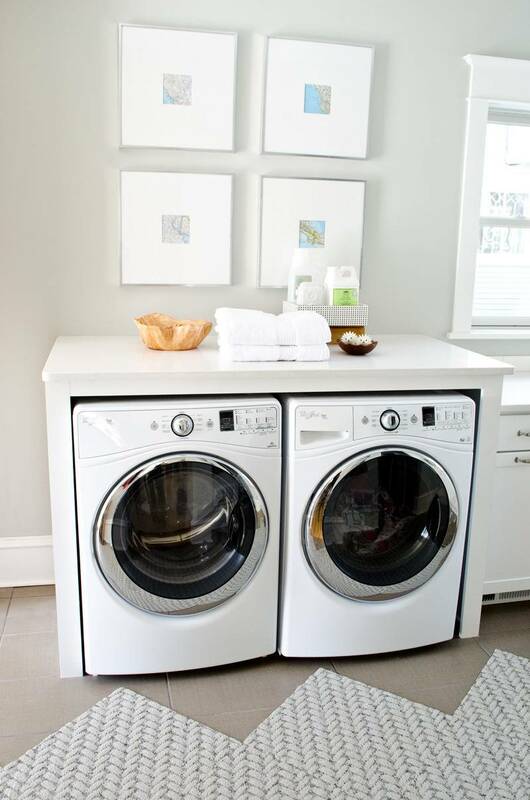 Your home is lovely and an inspiration for those of us who are in the process of remodeling or redoing our homes. I am going to use one or two of you chosen paint colors in my home. Thank you for sharing and enjoy the fruits of your labors! Hi Alicia! Thank you so much for sharing these pictures of your beautiful home. We are building a new home and chose SW Crushed Ice for the entire home except the laundry room and master bedroom before I saw your pictures. The laundry room will be Sherwin Williams Sea Salt and the master bedroom will be Sherwin Williams Pediment. We were agonizing over the trim color and thought we wanted Pure White. I was so excited to see you had posted the trim color as well as the wall colors. I can now confirm we picked the right colors and they look so beautiful. Thanks! I really love the simple clean range hood your cabinet designer put together...so many are so fussy but yours is really lovely. What is the model of the ventilation hood insert you used? I didn't see that listed. Thanks so much! Hi Olivia, We used an eggshell finish on the living and master bedroom walls. We used a high gloss enamel on all of the trim work. Hope this helps! You are rude. Please find within yourself the desire to refrain from trolling. Bullies are not cool. The effort put into this home is phenomenal. I would LOVE to live in a home so well designed. Well done! This looks fantastic. Anonymous, it's no wonder you didn't sign your name. Anyone with spelling and grammar that atrocious, not to mention rudeness, surely wouldn't want to be identified! Why would you ever write something so unkind and insensitive? Hmmm. While I applaud your effort, your decorationing skills need serious help. Sorry but the furniture choices you made were almost all so dang cheap looking. Lone exceptions was the headboard of your master bed. But then you got such cheap looking bedside tables and other furniture that it was just pitiful looking. Expensive, classy furniture does NOT need to be costly$$. It just takes an eye for classy design. Please check out classsy websites as you need help. Thank you, @georgia! Such kind words! absolutely beautiful home... and decorated so lovely!